The adage ‘Good things come in small packages’ holds true when it comes to miniature fragrances. Whether you are treating yourself or gifting these as a token of appreciation to a colleague or a dear friend, these gorgeous scents in their adorable toy-sized packaging are simply breathtaking. It’s also a great way to try something new without committing to the volume of a regular-sized bottle. No wonder miniature perfume sets are fast-moving items on the duty-free counters. For frequent flyers, a purse spray is a bare necessity. There is something utterly romantic about packing a teensy portable bottle of your favourite scent. Why should travelling deprive you of your signature scent and its stunning case after all? Also explaining part of the appeal of these mini flacons is the fact that they are lighter on the wallet and offer an affordable entry point into the elusive world of luxury. For some, these are collectible works of art. One can display a row of perfumes in glass cabinets or dresser trays, making them perfect choices for connoisseurs. However, the real reason behind the charm of the minis is that the human brain loves surprises, secrets and hidden treasures. We tend to get attracted to anything which defies the regular scale, which is either too big or small. The unusual size stimulates our imagination and makes us dwell on that which is beyond the realm of ordinary existence and daily humdrum. 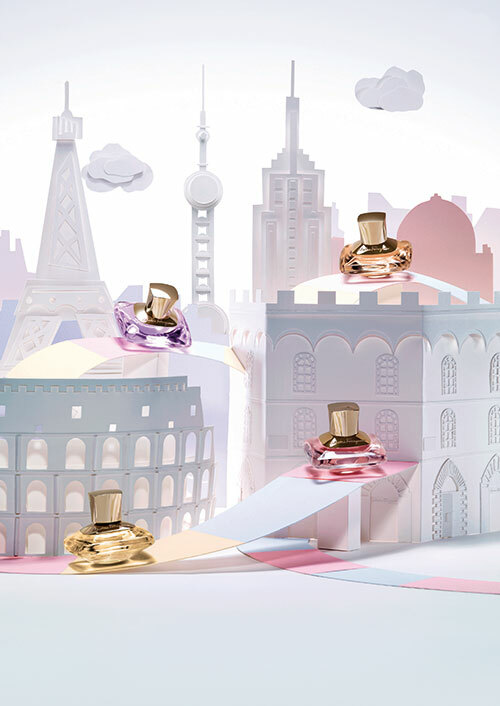 It is not surprising then that the miniature perfumes hold such thrill and fascination for us! Perfume etuis, which house intricately detailed pocket-sized bottles, were associated with the upper class in early 19th-century France. Their popularity among French aristocracy ensured that the court of Louis XV became known as la cour parfumée or the perfumed court. These cases were often covered in tortoise shell, enamel, sterling silver or shagreen (sharkskin), and elaborately wrought, gilded and painted. 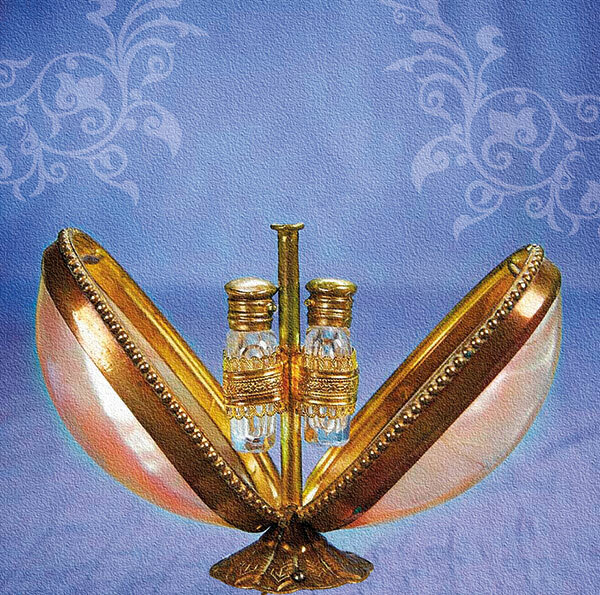 In the Victorian era, small perfume containers were often made ingeniously. Tiny vials of perfume doubled up as pendants, or were even hidden sometimes in brooches or rings. Many Tiffany bottles — short, stumpy crystal cylinders with hobnail bottoms and ornately engraved crystal stoppers — were ordered specifically by the Indian royalty to store their beloved attar.